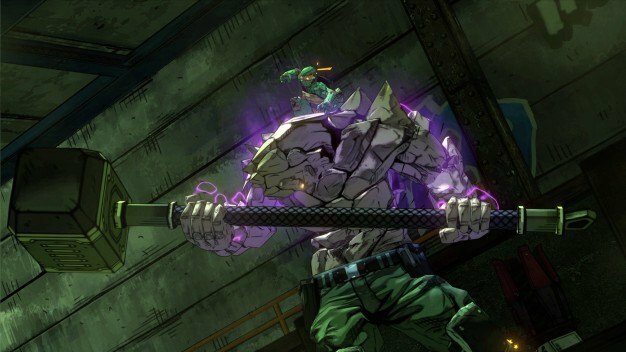 No matter how you look at Teenage Mutant Ninja Turtles: Mutants in Manhattan, it is not the game that will finally fulfill our childhood desire for a truly great TMNT game. 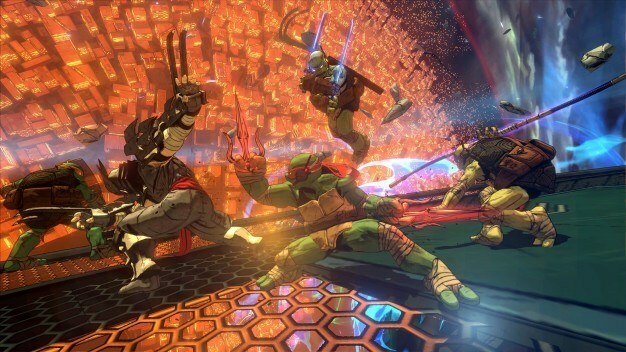 While the game’s graphics and art style fit the TMNT universe very well and look really good, the gameplay itself does not help its cause to be known as a must-have game by anyone let alone a die-hard TMNT fan. I will begin by going over my thoughts on the story missions within the game. Mutants in Manhattan‘s story isn’t very much of a story at all. While it can be completed start to finish in just about four hours, the story seems to be just 9 separate missions that don’t create a cohesive story. Sure, you beat one boss who then leads you to the next boss, but between them you need to go back to the main menu and select the next mission. This just didn’t do it for me. The idea of having a complete story all put together without having to go to the main menu is much more appealing. Aside from the story, the turtles are just as they’ve always been characteristically. Leo leads the group while Raphael is the tough guy, Donatello is the engineer and Michelangelo is the pizza-loving goof he has always been. 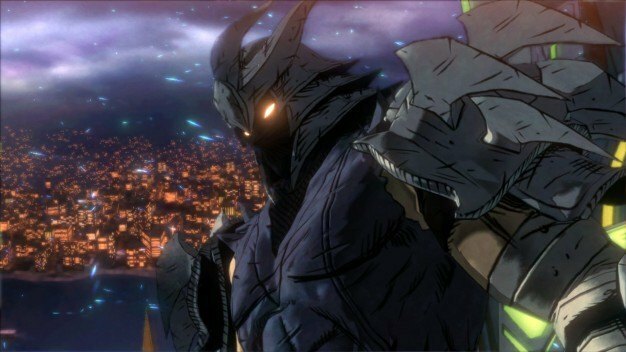 Throughout the story, each of the nine bosses have you fight through a few different urban settings. There is the city streets of New York, the sewers, and the rooftops. While each one of these settings have their flaws, I found myself enjoying the streets of New York the most of these three. I liked it the most because of the openness of the area. It allows the player to explore a lot more than the other areas do. While it is more open to explore, the game itself never has you go very far. It only has yo go to a few specific locations to ninja enemies to death allowing you to get to the boss. I found this game to be fairly easy on the default settings. Generally, the player could run through the majority of each mission by defeating the enemies or stopping the bombs marked and heading on towards the boss. 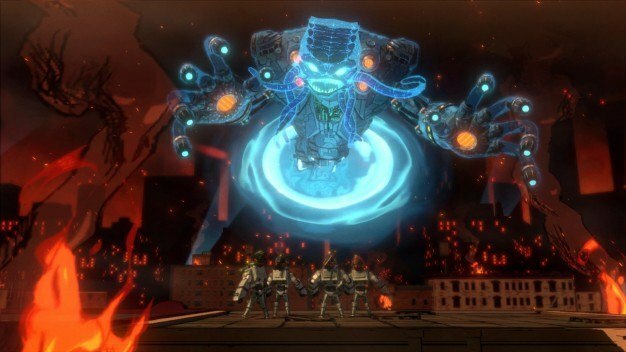 While most of the boss fights are pretty simple and take around 10 minutes to defeat, there are a few that will take some strategy and more time or attempts to defeat. The combat itself seems to be a clunky mess, whether it’s fighting the grunts or the boss themselves. The entire combat system needs to be dumbed down to allow the player to easily understand and have the ability to put all the techniques to use throughout each fight. While playing, it is difficult to keep every fighting technique in mind and I tended to usually stick to one fighting style the entire time. 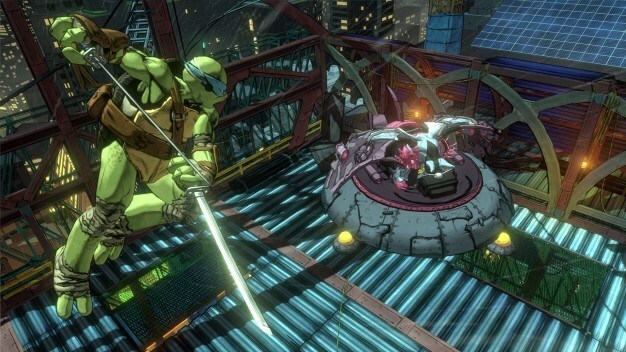 Some of the turtles’ special abilities includes the help of two or more of the green amphibious friends. These are the moves that I never got the opportunity to have all four turtles involved in. It almost seems as if these 4-player moves would need to be pulled off while playing online. The multiplayer aspect of the game is what I ask for from every game that has a story. While it is a maximum of a 4-player online experience, you are all playing a story mission from the game. Often times most games with a campaign do not include a co-op mode now a days, so this is a big plus for Mutants in Manhattan. Finding a match online is simple and smooth. You simply find a match or host one and wait for people to join your lobby to start. 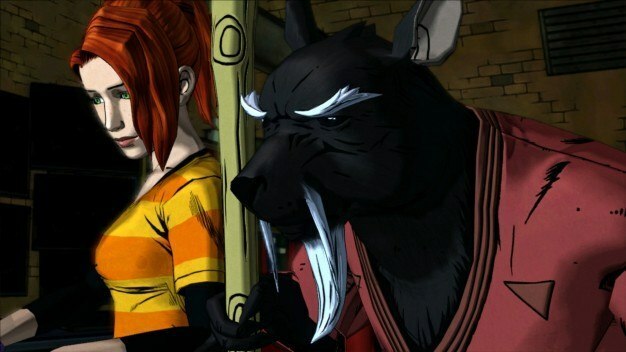 While there are many aspects of Teenage Mutant Ninja Turtles: Mutants in Manhattan that have a lot going for it, there are equally, if not more, that are not doing the game justice. This balance is not enough to keep the overall impression of the game a positive one. While the art style is great and nostalgic, the game’s combat system is too clunky and kept me from wanting to return to the game. While I can see why a die-hard TMNT might need to buy this game I can also see why the average gamer might not enjoy this game one bit.